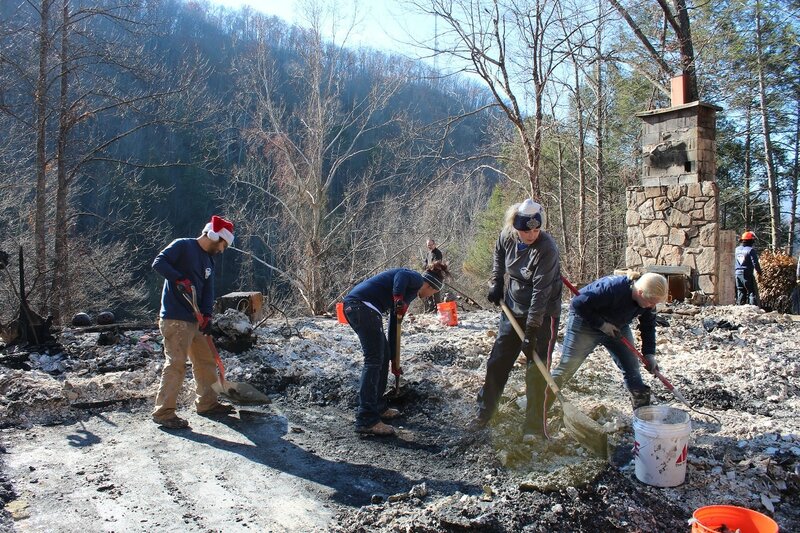 On December 1, just two days after a fire ripped through the Great Smoky Mountains, Reach Out WorldWide was on the ground in eastern Tennessee. 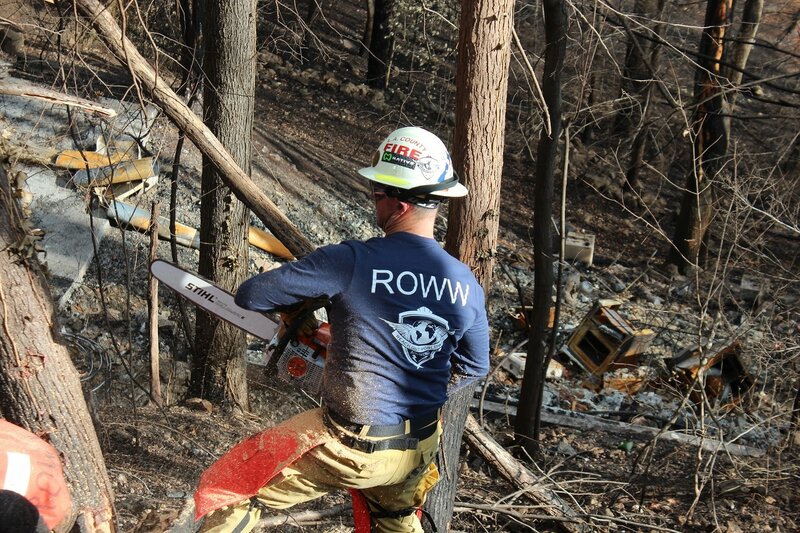 This deployment was ROWW's first response to a large-scale fire; a fire that left nearly 20,000 acres burned, over 2,000 structures damaged or destroyed, 175 people injured and at least 14 dead. 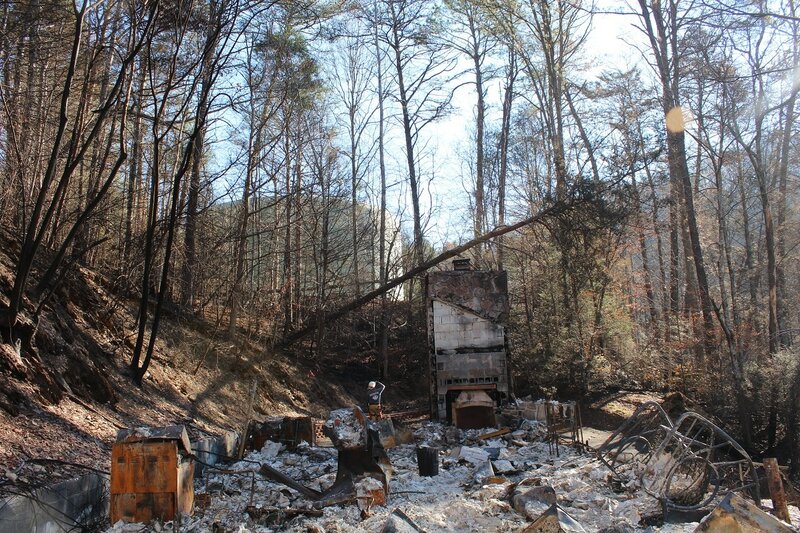 Two juveniles have been charged with aggravated arson. ROWW was among the first NGOs to arrive on scene and immediately went to work by assisting the local government to set up a volunteer coordination center. 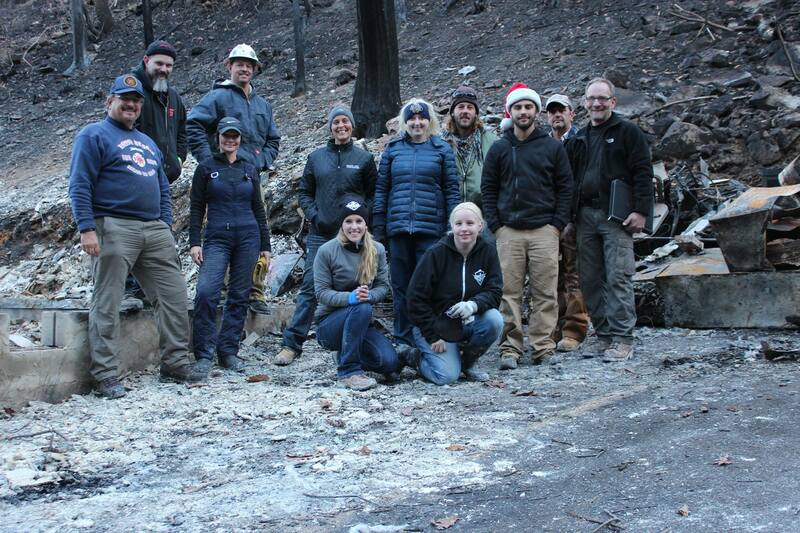 In the weeks following the fire, we cleared trees across primary roadways and driveways all over the mountainside. 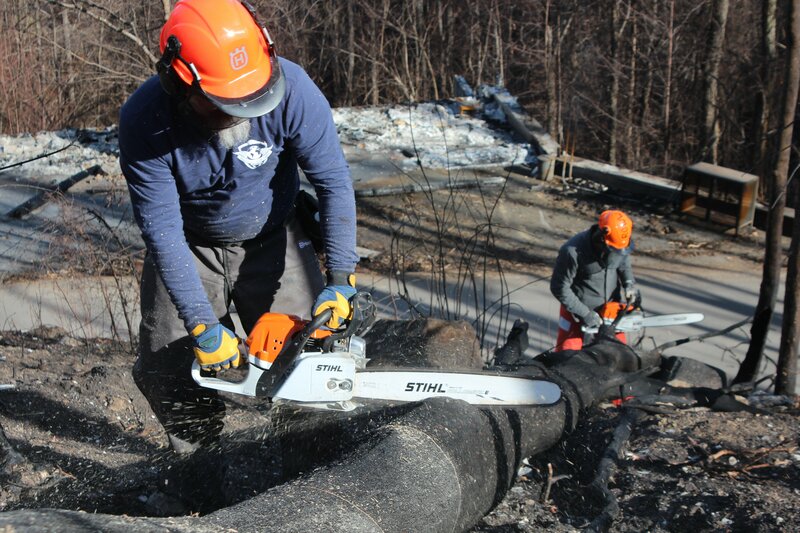 In many instances, we removed trees that allowed homeowners to visit their home for the first time since the fire. 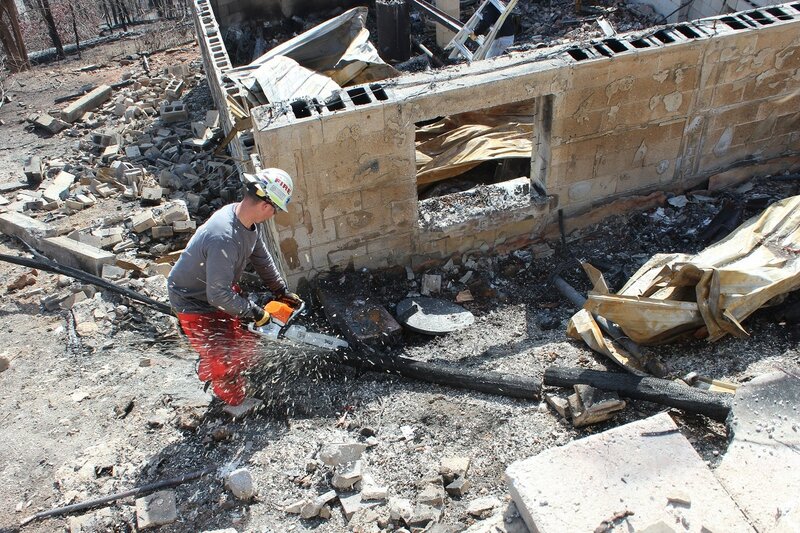 We sifted through ash and debris to help homeowners find whatever memories and keepsakes they have left. 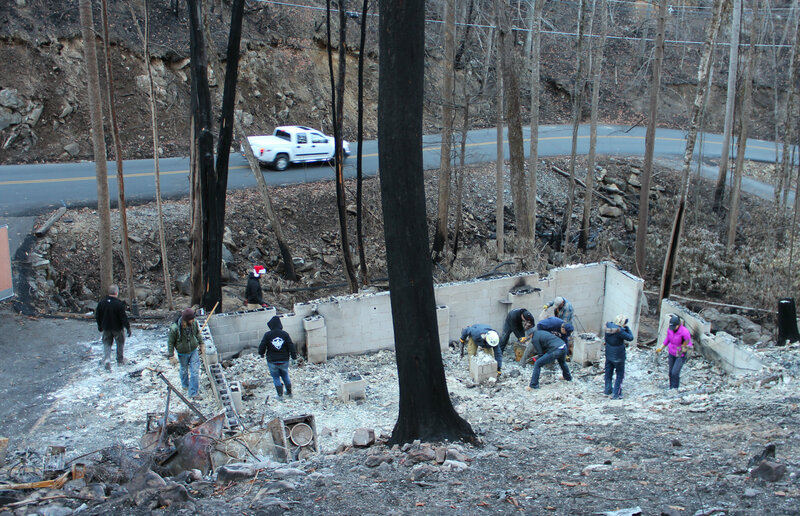 In too many cases, there's nothing left to save, but just helping clean up and sort the rubble gives homeowners that initial step forward so they can begin on their path to recovery. "This is a jump start; its a leap forward that allows us to take it from here. We just didn't know where to start until they showed up." Said Mrs. Thompson referring to the volunteers helping to clean up the debris.